Rian Johnson just wants to be surprised when he watches Episode IX, much like we were while watching this scene in The Last Jedi. How do we put this delicately? 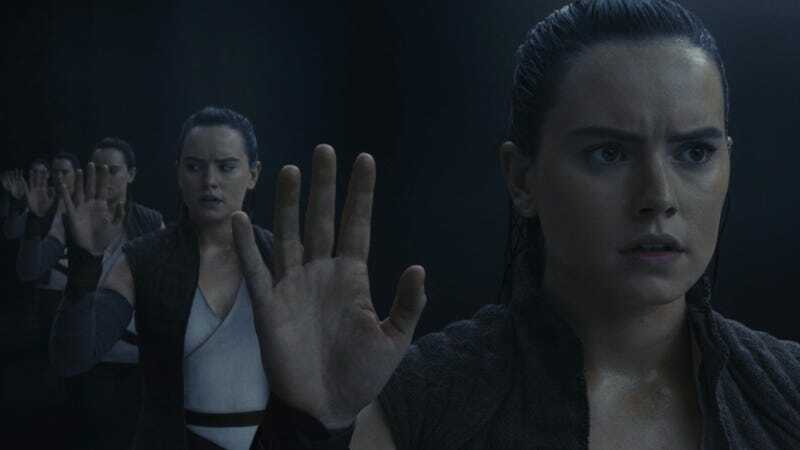 Some of the decisions Rian Johnson made in Star Wars: The Last Jedi...rubbed people the wrong way. The handling of Luke Skywalker, Rey’s lineage, the fate of Snoke, all of these things instantly became lightning rods of debate and continue to be just that. Some fans even hope the sequel changes those things. And if they do, Johnson is OK with it. The interview, which you can watch below, also touched on other topics that are important to fans of the franchise. So, no, as should be obvious from the previous quote, he does not know what’s going to happen in Episode IX. Outside of a few brief meetings, he’s out of the loop on the film. Yes, he is still working on his Star Wars movies. There’s no timeline as he’s waiting on Lucasfilm to figure out their slate. And yes, he’s very excited to see what David Benioff and D.B. Weiss do with their movies—which, like he said about Abrams’ upcoming film, he hopes are surprising.